Free high resolution photo of a dry stack sandstone wall. This picture shows the face of a wall made from blocks of sandstone. 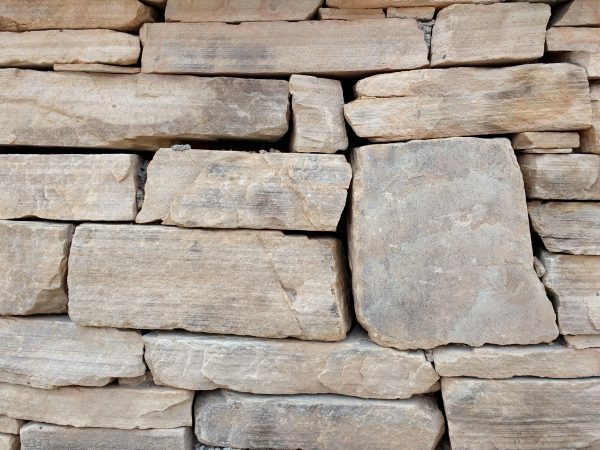 Dry stack or dry stone is a method of wall building where pieces of rock or stone are fitted together without the use of mortar. This wall is constructed of tan colored sandstone. Great background, wallpaper, or texture image for a website, blog, computer, phone, scrapbooking or Photoshop. Free image for any use.